In 1962, Godzilla made his third appearance in theaters, this time, facing off against an equally impressive monster in King Kong. In the film, King Kong is brought to Japan in the hopes of boosting the ratings of a failing Pharmaceutical television show. At the same time, Godzilla is unleashed from his icy tomb (from Godzilla Raids Again) and resumes* his attack on Japan. When King Kong escapes from his captors, the two colossal creatures meet in battle for the first time. The film itself featured a number of firsts for Godzilla. This was the first of many crossovers for &#187; Continue Reading. 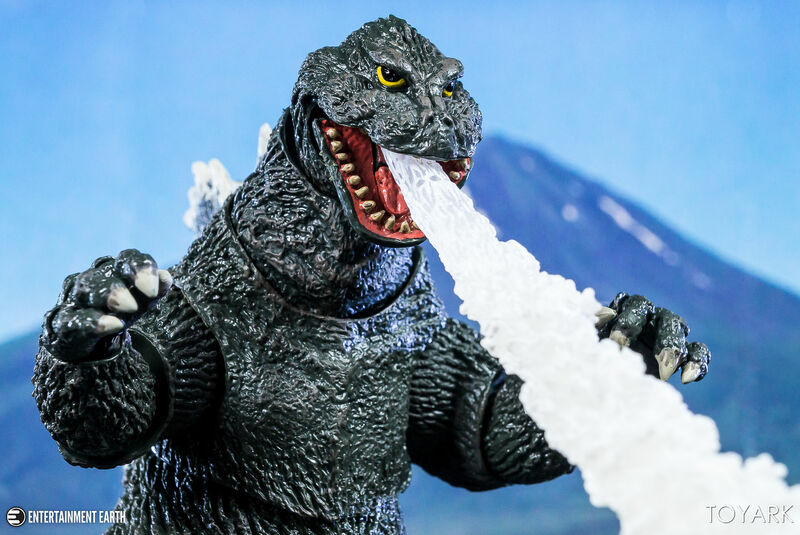 The post NECA Godzilla from King Kong vs Godzilla 1962 – Toyark Photo Shoot appeared first on The Toyark - News.